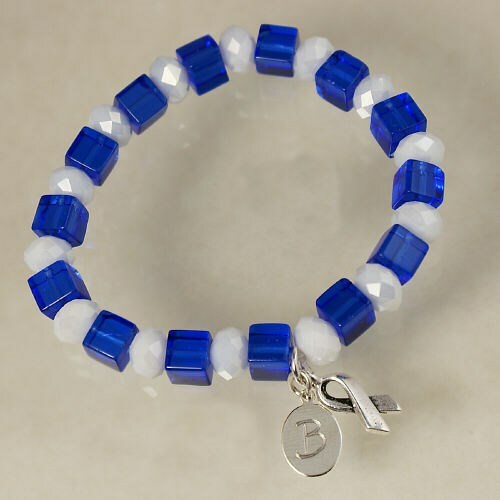 Raise hope and awareness with this stretch to fit Engraved ALS Awareness Bracelet. This Personalized ALS Awareness Charm Bracelet is a great way to symbolize your support for ALS while giving encouragement to people and families battling with this condition. Today’s Price: $25.99 Temporarily out of stock. Please check back. Additional Info Be sure to browse through our ever growing collection of Personalized ALS Awareness Gifts for any upcoming walk events that you may be participating in. Also, look good with your team when you wear our Personalized Walk for ALS Awareness Sweatshirt and our Personalized ALS Awareness Water Bottle.